This picture and story appeared in the New York Daily news and received over 62000 likes. 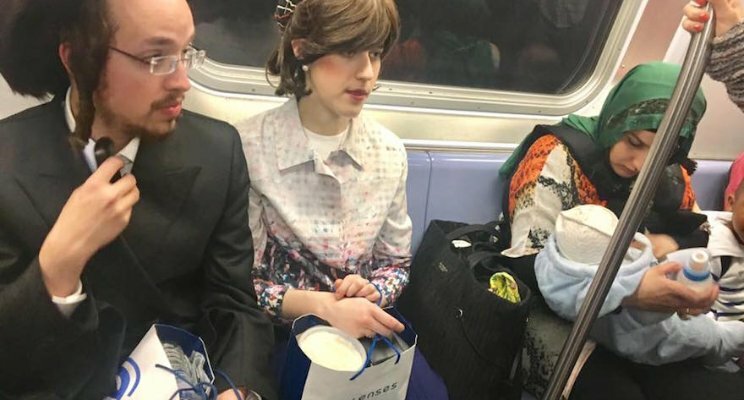 A Chinese photographer gave up his seat on a subway to a Hasidic couple. Who then moved over to allow a Muslim woman to nurse her child… all on Easter Sunday! In most countries this would never occur. Sometimes we take for granted just how wonderful and embracing our culture is.